I attended as an invited guest the opening ceremony of the 22nd Busan International Film Festival on Oct. 12. I immensely enjoyed the whole ceremony and the reception. It reminded me of the 10th Singapore International Film Festival in April 1997 I attended when I served as Korean ambassador to Singapore. After the event in Singapore I wrote an article on the SIFF in the Strait Times in which I emphasized that nations can cope with deepening racial, ethnic and cultural conflicts through cultural exchange and cooperation despite, and because of, rapid economic and social globalization. BIFF has made me reconfirm my belief. It is ironic that economic and social globalization has actually resuscitated racial, ethnic and cultural conflicts. The reason is that the more people contact each other, the less they understand each other. When different races develop different cultures, they become divided into different ethnic groups. Different ethnic groups form their own states (nation-states). There are also multiethnic states, but they are in general more conflict-ridden than homogeneous nation-states. Cultural exchanges in general are more likely to promote peace among states than any other exchanges, because economic exchanges rather strengthen nationalism, while social exchange can increase immigration and migration, which in turn create racial, ethnic and cultural conflicts within a state. We are eyewitnesses to such conflicts in multiracial, multiethnic and multireligious states in both the West and non-West. Why can cultural exchanges promote mutual understanding and empathy better among different racial, ethnic and religious peoples? My answer is that culture is more likely to activate empathy in the human heart than any other human activity. Empathy is the main source of peace. Some scholars believe that reason is the strongest source, but empathy is more prevalent and stronger than reason in the average human. How would an average person react to foreign cultures? She may dislike or like them. But art performances transform them into emotional panaceas and invoke empathy in audiences. Among all art forms, film is the best to build empathy because it is an integrated art form (an amalgamation of novel, poetry, music, dancing, drama, sculpture and painting) and can affect every sensual organ of the human. Whenever I see movies, my racial, national, ethnic, educational, family and ideological backgrounds suddenly disappear and I become a primordial human being and begin to empathize with any other kind of human being. When I watched the Iranian movie “Gabbeh,” I thought I was living with a tribe in Iran and experienced the love of mankind. I had the same experience as I had at SIFF when I saw the “Glass Garden” (a profound anatomy of human nature) showcased at BIFF. When I watched a physically handicapped girl, my psyche became instantly connected to hers, my mind melded into hers and I shared my life with her. UNESCO believes a culture of peace can be built through education, interstate cultural exchanges and the preservation of national cultural heritage and diversity. But it has been proven that member states have been using UNESCO for the preservation of their own cultures, not for the creation of a universal culture. I personally observed this during my tenure as South Korean ambassador to UNESCO in the early 1990s. Since UNESCO which was created to promote world culture has been unable to fulfill its objective, some other international organizations and activities have to undertake this role. BIFF and other similar organizations worldwide are most well-suited for it. I have become more convinced of this after I attended the activities of BIFF this year. BIFF may make small contributions to the creation of world culture, but its small step will lead to a giant step for humankind toward the ultimate goal. However, it will be practically impossible to build the foundation of world culture without going through an intermediate stage: a regional stage to provide a bridge to a world culture. Therefore, each region should establish its own regional organization for cultural cooperation. I had this in mind when I proposed a Pacific Cultural and Information Organization at a conference hosted by the Korean Commission for UNESCO in the mid-1980s. Nation-states create a regional culture in their respective regions first and work toward the creation of a global culture next. It is encouraging to note that regional film festivals are also held in all regions. The freedom of filmmaking is one of the most important human rights. It is not surprising that dictatorships take filmmaking under state control. BIFF can contribute to the creation of peace and global culture while promoting human exchanges better than any other cultural organization, activity or diplomacy. After I attended the festival, I thought the programs of BIFF could be improved. One important shortcoming of the festival is that some programs are not well internationalized. For a lack of funds, the organizer uses many university students as volunteer workers and guides, interpreters or desk workers. But they are not quite familiar with Western culture and protocol. International conferences and events are held according to Western protocol and rules of conduct and therefore BIFF should also be held according to them. I also believe BIFF should be completely depoliticized. Otherwise, the very purpose of BIFF, the creation of a culture of peace, will never be realized. 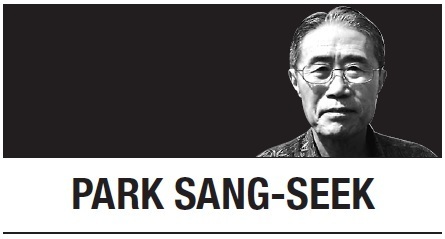 Park Sang-seek is a former rector at the Graduate Institute of Peace Studies at Kyung Hee University and the author of “Globalized Korea and Localized Globe.” -- Ed.